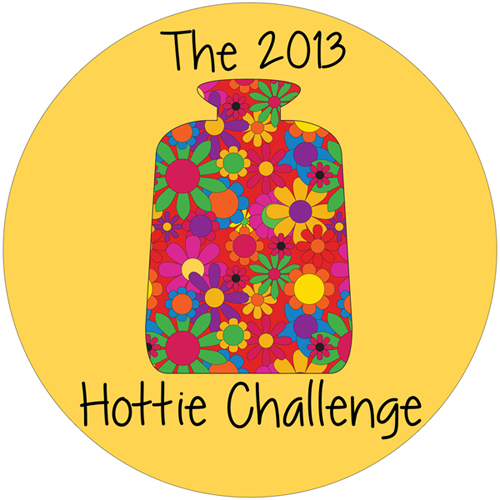 The lovely Cam from CurlyPops has just opened her Hottie Challenge for 2013 and I’ve just signed up. 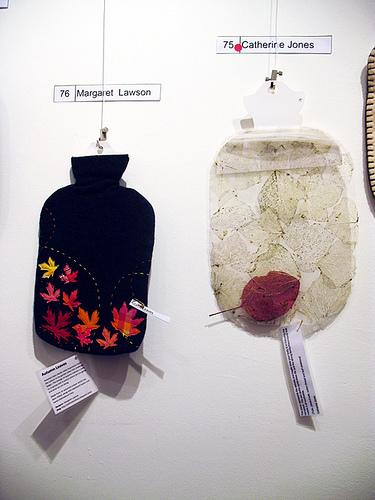 The aim of the challenge is to make a hot water bottle cover, which will be exhibited in the gallery space at Open Drawer Art Textiles and Learning Centre from Friday July 5th, with a grand opening on Sunday July 7th from 2-4PM. The finished hotties are donated to the Margaret Pratt Foundation, so that they may be sold to raise funds. The Margaret Pratt Foundation has donated $850,000 to date to promote research into the causes and prevention of chronic lung rejection. I love a number of things about this awesome challenge. One is the creativity of the crafters involved. There’s a flickr group where you can see previous entries (and where I got the image to the left) and where you can follow along as people post tantalising teaser shots of their work. Another is the community aspect, that all these crafters come together to raise money for a well deserving charity. And I love the choice of base media. The warmth and comfort, the feelings of home and relaxation that is wrapped up in the very idea of a hot water bottle is so perfect! I love that’s our blank canvas from which to work. My idea is utalising a symbol I’m currently obsessed with, although it doesnt show on the website. I have made a public artwork with it, but the festival it was for has been postponed until the second half of the year so the work sits on my book shelf between the craft books and the craftivist books. I can’t wait to install it out in the streets but for now, I’m really excited about the opportunity to realise the work in a different way. Cam’s still looking for entrants to this year’s Hottie Challenge, so if you’re keen, pop on over to her blog and sign yourself up! Thanks so much for joining in and spreading the word! Hey Cam, no problems! I’m really excited about this work, it’s coming along nicely. Never having crocheted a hot water bottle cover, I’m crocheting it actually onto a hot water bottle to ensure the shape and size is right. It’s a lot of fun!